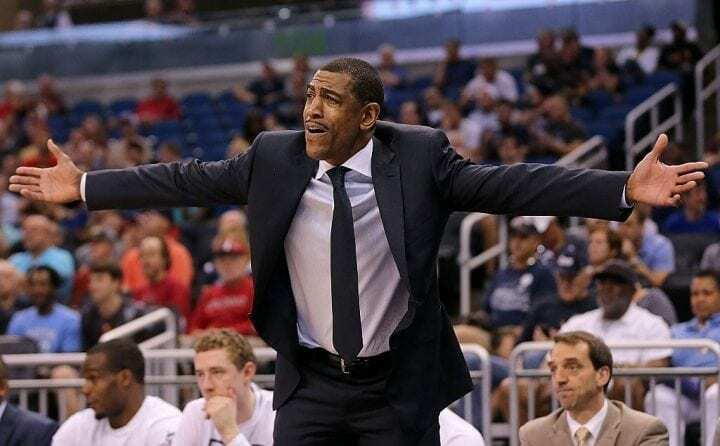 After spending two seasons as an assistant on Jim Calhoun’s staff at UConn, Kevin Ollie ascended to head coach of the Huskies’ men’s basketball program in 2012, promising a return to prominence for a program that already had three national championships. Ollie played point guard for Calhoun (1991-95) before beginning a 14-year NBA career in 1997 with the Dallas Mavericks that would eventually include time with 11 other teams. During that period Ollie developed a reputation as an intuitive, disciplined player who would be credited for helping to mentor teammates like LeBron James and Kevin Durant. Ollie played with James during his rookie season in 2003. Durant told ESPN’s Bill Simmons in 2014 that it was Ollie, during the 2009-10 season, who helped transform the Oklahoma City Thunder into a contender despite playing in only 25 games. So it was with great anticipation for reform that Ollie’s tenure began under the cloud of an NCAA postseason ban in 2012-13 for low APR scores earned during the Calhoun era. He was immediately viewed as the perfect point man to set the program back on its feet. And that opinion only increased when Ollie, in just his second season, led the 2013-14 Huskies to the national championship. But the relationship between Ollie and the school has rapidly deteriorated since. After the Huskies went 14-18 and missed the NCAA Tournament for the second straight season last year, the Huskies’ athletic director, David Benedict, dismissed Ollie, citing a pattern of NCAA violations as “just cause” in an effort to save the university the $10 million it still owes him. 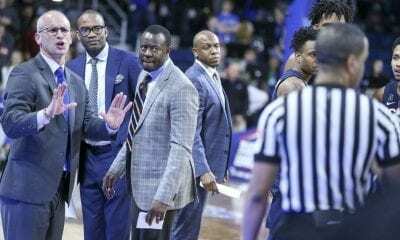 With Danny Hurley entrenched as Ollie’s replacement, the joust between Ollie and UConn over the terms of his dismissal have intensified into a contentious battle as they await the results of the NCAA’s investigation. UConn president Susan Herbst, in a letter addressed to Ollie dated June 19, blasted him for his failure to adhere to compliance duties. “If certain violations were inadvertent rather than deliberate, your failure to identify them as violations and report them after the fact suggests either a knowing disregard for your compliance obligations or a gross inability to satisfy them,” wrote Herbst. 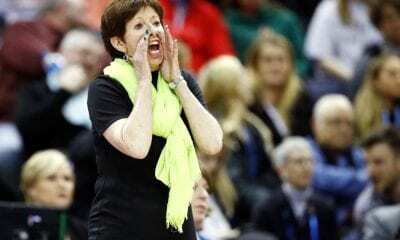 One month before, Herbst had a meeting with Ollie and a union representative during which Herbst, in the letter, accused Ollie of being unresponsive to pointed questions about possible NCAA infractions. 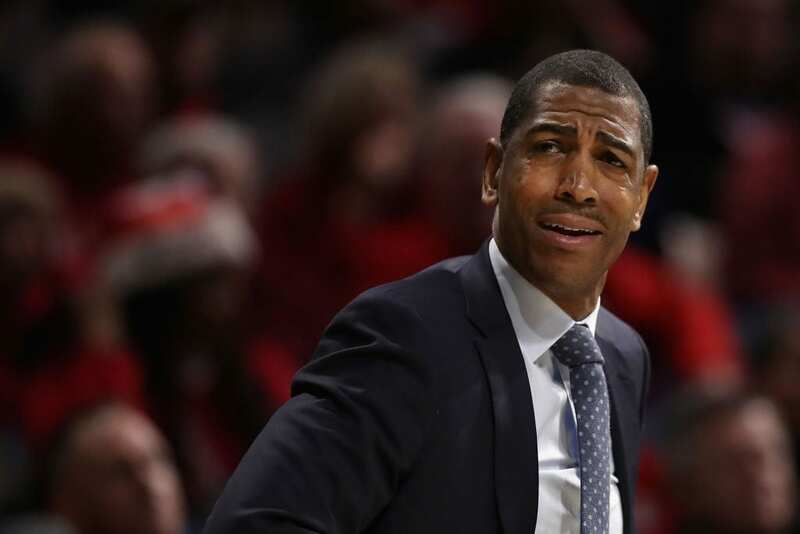 Earlier in June, UConn released a 1,355-page manuscript, in compliance with a Freedom of Information request, which spelled out its reasons for believing Ollie had violated the terms of his contract. Among them: Ollie working out with a recruit during an unofficial visit, setting up a video chat with a player and former UConn great Ray Allen and arranging personal training sessions for three players with an associate. Ollie’s people claim the accusations are either false or insufficient to merit dismissal for just cause. 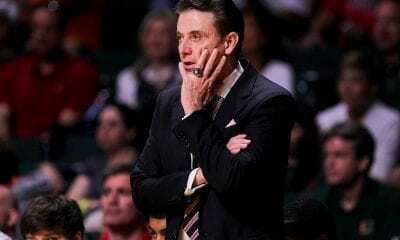 They have also charged the university with maintaining a double-standard for not disciplining other UConn coaches who allegedly committed violations on Calhoun’s clock. On Wednesday, the situation took another caustic turn when Ollie’s lawyers sent a letter to Herbst intimating that the release of interview transcripts concerning a current NCAA enquiry violated Freedom of Information Act laws protecting their client from untruthful claims. Ollie’s lawyers are threatening to sue UConn for defamation and invasion of privacy. The UConn chapter of the American Association of University Professors has said it plans to take the case to arbitration, even though UConn’s documentation includes a record of potentially incriminating NCAA staff interviews with subjects including former UConn assistant coach, Glen Miller. Ollie fired Miller in 2017.